the programme and its growing community of Fellows, former Fellows and contributors to the programme. The Max Weber Programme is Europe's largest postdoctoral programme in the social sciences and humanities. 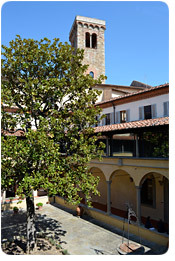 It is funded by the European Commission (DG Education and Culture) and hosted by the European University Institute in Florence where the research community of professors, researchers and Fellows provides an excellent environment for the Programme. The Programme, open to all nationalities, is designed for junior postdocs who have received a doctorate in Economics, Law, History, Social and Political Sciences, or a related field, within the last 5 years and who want to advance in their research and academic training, in an active multidisciplinary environment, before entering the international job market, or in the early stages of their academic careers. The latest call for applications to the MW Fellowships for 2014-2015 just closed on 25 October. Once again the Max Weber Programme shows its strength and appeal: applications went up 15 percent totaling a new record (1277). The success of the Programme is further highlighted by the comparison with the 8 percent decrease in applications to the JMF as shown in the table. The distribution of applications by departments is in line with the general trend of the previous years showing a marginally stronger appeal for HEC applicants this year while SPS, ECO and LAW are stable. From June to October 2013, the Academic Careers Observatory (ACO) of the Max Weber Programme (MWP) carried out interviews on the job market experience of the former Max Weber Fellows (MWF), both early- and mid-career scholars. 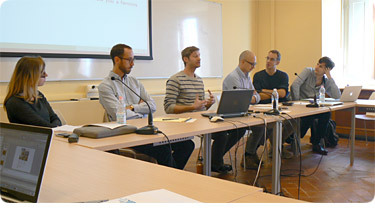 The main purpose of these interviews was to hear about the Fellows' experience on the job market, compare these experiences across countries and disciplines, and provide first-hand information about the different job markets for all those interested in academic careers in the social sciences and humanities. Interviews were conducted with 15 former MWF, who participated in the MWP from 2006 until 2013. The questions ranged from the more general, focused on current trends and characteristics of the job market in a given country and discipline, to the more specific, concentrated on the details of the application process and individual experiences from job interviews. There are several preliminary conclusions that could be drawn from the information gathered at these interviews. 2012–2013 was the 7th academic year of the Max Weber Programme and, in several respects, marks the end of a first period of the programme. Change and continuity will mark this transition. Change in housing and directorship; continuity in funding, fellowships, activities, and most of the MWP team. How change and continuity interact determines success or failure in the evolutionary process… whether species and societies grow or decay. Change is needed for innovation to take place; continuity is needed for knowledge and resources to accumulate. 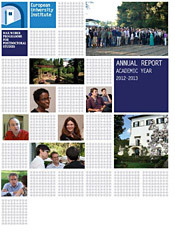 This annual report provides an excellent abridged account of what the Max Weber Programme is (more to come in the forthcoming seven-year report). An account is always useful, for change and continuity to play their role. How do patterns of co-authorship, language choice and preference for certain publication outlets link up with disciplinary differences? And how do these aspects of scholarly publishing tie in with the career trajectories of young scholars in the European context? A recent article by Laurie Anderson, University of Siena/MWP and member of the FIESOLE Group, probes these issues. The article appeared in the August 2013 special issue of Language Policy focusing on how linguistic policies and practices are affecting academic publishing in a variety of national and regional contexts (including China, South Korea, Mexico, Turkey and continental Europe in general). The 'object of study' of the article is the MWP Fellows themselves – their publishing patterns and how these intersect with disciplinary differences and mobility patterns. "The MWP Fellows," Laurie notes, "are representative of what Marginson refers to as the 'top tier' of young international academics, and are therefore a useful barometer of trends in academic publishing and of how these intersect with patterns of mobility". The study is based on an analysis of the publishing records of four MWP cohorts and in-depth, semi-structured interviews with 24 Fellows publishing in more than one language. 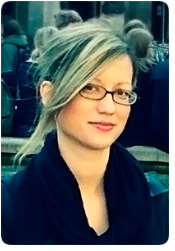 Drawing on research on scholarly publishing and on academic labor markets (including work by Ramon Marimon and members of the ACO Observatory), the article highlights how, for multilingual early-career scholars, taking a strategic approach to publishing requires an ability to play by the often implicit rules of one's disciplinary sub-community, while at the same time juggling the sometimes conflicting demands of national (and local) engagement and international visibility. I am interested in democracy and representation in Europe with a special focus on inequality. My work aims to juxtapose normative democratic theory and models of political representation and participation with the empirical reality of the European Union (EU). In particular, my focus is on how European integration challenges democracy and citizens' representation via political parties. This project stems from my previous work on party behaviour towards the process of European integration and the (de/re) politicization of policy areas in European elections. My latest research is the first to tackle the issue of representation in the European Parliament as a multilevel phenomenon, focusing on its split-level structure and potential gaps across levels of interest aggregation. My inquiry about representation and policy congruence goes beyond the classic Left-Right dimension and brings issues of European unification and of a socio-cultural nature into the debate. The simultaneous study of the socioeconomic and sociocultural dimensions offers insights into the rise of extremism in Europe on both sides of the political spectrum. Such an approach also helps us to understand the political behaviour of the so-called "left-authoritarians", namely those citizens who hold leftist views on socioeconomic issues and rightist views on sociocultural issues. In October of 2012, representatives of the Colombian government and of the Revolutionary Armed Forces of Colombia (FARC) met in Oslo to officially begin peace negotiations. If successful, they will end one of the oldest armed conflicts in the world. The last peace negotiations with the FARC ended in bitter failure over a decade ago, leaving the generalized sense that they could not be trusted to negotiate in good faith. This perception contributed to catapulting president Uribe's tough pro-war platform to the presidency. During Uribe's eight-year term (2002-2010), the only official relationship with the FARC was military antagonism. Antagonism was taken to the extreme of referring to FARC exclusively as drug traffickers and terrorists, and of denying the very existence of armed conflict in Colombia. Against this backdrop, nobody expected Uribe's former ministry of defense and designated heir, president Santos, to start peace negotiations within two years in office. Santos appointed a high-profile team of negotiators, which agreed with the FARC on an ambitious agenda that includes development policies; post-conflict political participation; disarmament and security; drug trafficking; transitional justice; and implementation. Negotiations are now ongoing in Habana, with Norway and Cuba acting as guarantors of the process. Over the last three decades, economists and historians have studied this earlier era of globalization in part to understand the present day era of financial globalization. Scholars across disciplines have, in particular, shown interest in the question of international investing, particularly in the context of what are today called 'emerging markets.' Social scientists in particular have sought to establish the factors that determined the cost of borrowing for countries in the international bond market. The path of economic recovery from the recent global recession has been rather slow and fragile. Growth in advanced economies has been throttled by mounting government debt and the financial crisis has turned into a fiscal one. In the aftermath of this crisis, policymaking has mainly focused on the implementation of sizeable and long-lived fiscal consolidation plans, including cuts in various components of government spending and increases in taxation, so as to decrease government deficit and debt levels. These developments in the economy have recently excited renewed interest in the strand of research examining the macroeconomic impacts of fiscal consolidations, tending to suggest in general that expenditure cuts rather than tax hikes should be used to generate government savings. However, two crucial aspects of political economy related to the presence of rent seeking activities and tax evasion in many countries undertaking such policies have been left unnoticed, despite the obvious implications for the government budget. Rent seeking, which is viewed as a form of bureaucratic corruption, is defined as "the socially costly pursuit of winning a contestable prize" (Drazen (2000, p.335)) and occurs mainly through the public sector. In other words, the monopoly rent that the government creates, e.g. via coercive taxation, generates a prize worth pursuing. Tax evasion refers to failure to report or to reporting inaccurately taxable income to the tax authorities. The two of them often coexist, in various forms, and possibly interact. Martin Hellwig will give the Max Weber Lecture in November, titled "Quo Vadis Europe? Banks, Sovereigns, and the Crisis". 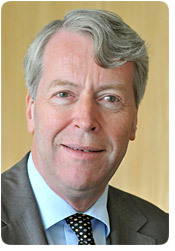 Martin Hellwig was appointed Director, Max Planck Institute for Research on Collective Goods, Bonn, and Professor of Economics, University of Bonn (Courtesy Appointment) in 2004. He holds a diploma in economics from the University of Heidelberg (1970) and a doctorate in economics from the Massachusetts Institute of Technology (1973). His research interests involve public economics, network industries and competition policy, financial markets and institutions, corporate governance, foundations of monetary theory and macroeconomics and anything else that looks intriguing. Read the abstract. 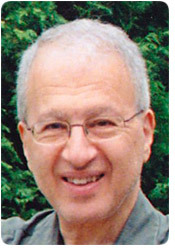 John M. Najemy will give the Max Weber Lecture titled "Machiavelli and History" in December 2013. 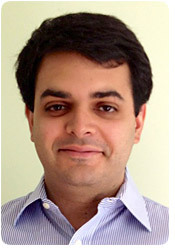 John M. Najemy is Professor of History at Cornell University. He did his BA at Princeton (1975) and his PhD at Harvard (1972). He is the author of A History of Florence 1200-1575 (Oxford 2006), Between Friends: Discourses of Power and Desire in the Machiavelli-Vettori Letters of 1513-1515 (Princeton 1993). Corporatism and Consensus in Florentine Electoral Poliitcs, 1280-1400 (University of North Carolina Press 1982). He is editor and contributor of The Cambridge Companion to Machiavelli (Cambridge 2010) and of Italy in the Age of the Renaissance, 1300-1550 (Oxford 2004). He was a Visiting Professor at Villa I Tatti in 1998-1999. Martin Riesebrodt will give the Max Weber Lecture in January, titled "Religion in the Modern World: Between Secularization and Resurgence". Martin Reisenbrodt is professor of sociology and politics at the Graduate Institute of International and Development Studies, in Geneva. 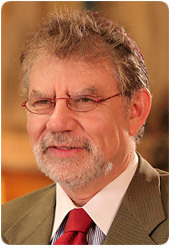 He is also emeritus professor at the Divinity School and the Department of Sociology at the University of Chicago. 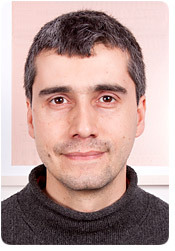 He earned his PhD at the University of Heidelberg, and his PhD Habilitation at the University of Munich. In his book Cultus und Heilsversprechen, Riesebrodt examines the regeneration of religion and fundamentalism in the modern world. 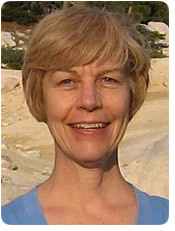 Theda Skocpol, Victor S. Thomas Professor of Government and Sociology at Harvard University will give the Max Weber Lecture in February, titled "Making Sense of the Past and Future Politics of Global Warming in the United States". American sociologist and political scientist at Harvard University, she served from 2005 to 2007 as Dean of the Graduate School of Arts and Sciences. She is influential in sociology as an advocate of the historical-institutional and comparative approaches, and well-known in political science for her "state autonomy theory". 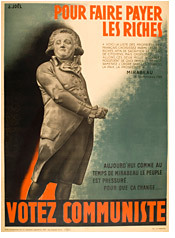 Skocpol has written widely for both popular and academic audiences. 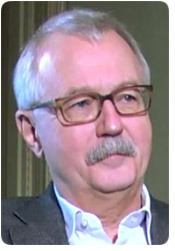 In 2007, Skocpol was awarded the Johan Skytte Prize in Political Science, one of the world's most prestigious prizes in political science. 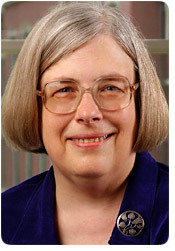 In 2002-3, Skocpol was president of the American Political Science Association. on the Politics of Representation"
Max Weber Fellows organized a multidisciplinary workshop to discuss how representations and analysis of income taxation are generated, disseminated and entrenched politically, eventually becoming 'common sense' or contested heresy. Invited speakers were Nicholas Delalande (Science Po Paris) and Michael Becher (University of Konstanz). On 16 October the President of the EUI, Prof. Joseph Weiler gave the first Max Weber Lecture of the year, titled "The European Parliament Elections 2014: Europe's Fateful Choice". Professor of Law and European Union Jean Monnet Chair at New York University Law School and President of the European University Institute in Florence. He holds a diploma from the Hague Academy of International Law. Weiler is the author of works relating to the sui generis character of the European Union. He is a Fellow of the American Academy of Arts and Sciences. Read the abstract. "Methodologies of Norms, Norms of Methodologies"
On 16 October 2013 the Max Weber Fellows held a Multidisciplinary Research Workshop titled "Methodologies of Norms, Norms of Methodologies" to reflect upon some of the methodological opportunities and challenges researchers face across and within disciplines. The workshop brought together a multidisciplinary panel of MWFs interested in the study of norms (broadly understood also as rules, ideas, beliefs or values). The workshop was well attended by researchers who actively engaged in the debate and issues raised by the topic. Read the abstract and programme here. "Eighteenth Century Central Europe in Transcontinental Trade: the Trading Company of Molla Mustafa and the Viennese Conscription of 1767", in Daniel Dumitran and Valer Moga (ed. ), Economy and Society in Central and Eastern Europe. Territory, population, consumption, Münster, LIT Verlag, 2013, p. 31-42.
recently won the 2013 edition of the Prize in memory of Etta Chiuri with the paper "Mother or market care? A structural estimation of child care impacts on child development". The prize was awarded at the 2013 SIEP (Società italiana di economia pubblica) conference, held in Pavia on 27 September. was awarded in September 2013 the Thesis Prize of the European Group of Public Law for his dissertation "Le principe de l'équilibre institutionnel en droit de l'Union européenne" (The principle of institutional balance in European Union law), defended in 2012 at the University Panthéon-Assas (Paris II). This prize is awarded, on an annual basis, to the best doctoral or postdoctoral Public Law thesis characterized by its European dimension. was appointed Assistant Professor at the Department of Politics and International Studies at the University of Warwick, Warwick, UK. was appointed Assistant Professor in Modern North African History at Princeton University, Princeton, USA. 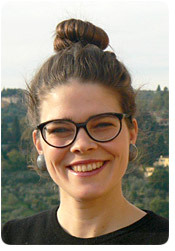 in September 2013 moved to a position as lecturer of European History at the University of Leiden. was appointed Professor of Economic Law at Pforzheim University in October 2013. She is currently also Visiting Professor at Hanken School of Economics (Finland) and Affiliated Research Fellow at the Max Planck Institute for Intellectual Property and Competition Law (Germany). born on 25 July 2013 (son of Gregorio Bettiza, SPS Fellow 2012-2014, and Katherine Rose McCabe). We would be happy to announce prizes and distinctions you have been awarded, career moves, your recent publications and other important news that you would like to share through the Max Weber Programme Newsletter. 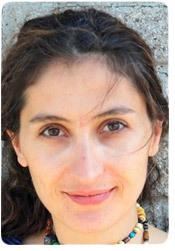 Write to Valeria Pizzini to have your news announced.